A recent talk caused quite a stir. Elon Musk, developer of the driverless car, herald of the colonization of Mars, and technological icon before the Almighty, announced his fear for mankind’s survival over the medium term. He believes robots will exterminate us. Based on what we saw at CES in early January, we tend to think robots are our friends. For now. You be the judge! The Ekso Bionics exoskeleton made an appearance in 2015, but its visit in early January to the Consumer Electronics Show (CES) in Las Vegas was a real showstopper! Although the technology draws on years of research and development, mostly carried out in the early part of this decade at Berkeley University, California, it can only be described as still emerging. 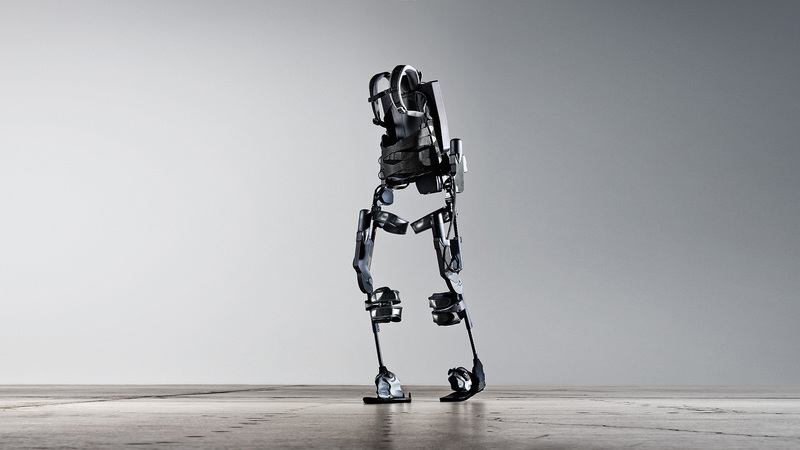 Exoskeletons hold out the hope of creating superhumans using pistons, pneumatic gaskets, and the latest servo controllers. In other words, you add the strength of a steel frame and the artificial intelligence of microprocessors to the abilities of a normal human being, for improved movement. The broad range of companies that use this technology, including armament manufacturer Lockheed Martin and some 25 hospitals in North America, Europe, and South Africa, must be on to something. The most pared-down version can cover 65 kilometres carrying 70 kilos (150 pounds) of equipment without the slightest strain. The version used in rehabilitation facilities helps patients with full or partial paralysis of the legs learn to walk again. At the same time, who needs an exoskeleton when you can fly around on an EHang 184 drone? Chinese manufacturer EHang also caused a commotion when it revealed the 200-kilo drone at CES. 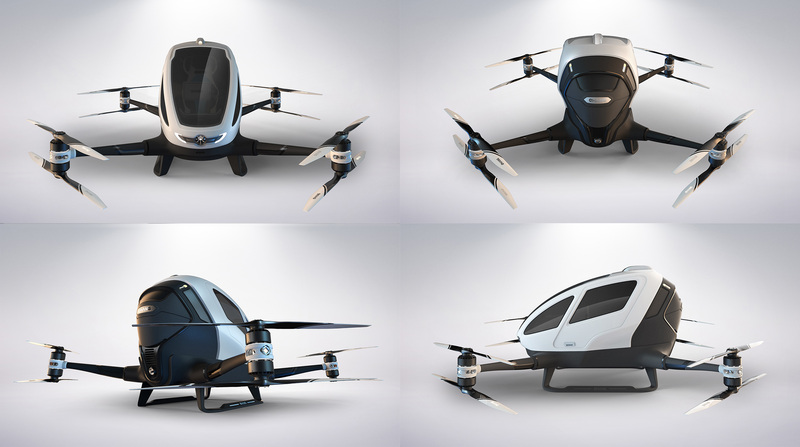 The device is fully automated, meaning passengers can fly at low altitudes without a pilot’s license. The EHang 184’s capabilities are limited, but impressive nonetheless: it can carry loads up to 100 kilos, and with a top speed of around 100 km/h, its electrical power provides a range of 23 minutes. Perfect for rising above traffic jams! Once at its destination, the propellers fold up and the drone fits nicely in a standard parking space. And it works! The developer claims to have made some one hundred flights, in and around Guangzhou, China. Onboard is a single seat facing the console, a large touchscreen used to steer, but not control, the drone. It also features air conditioning and WiFi, putting it ahead of most of today’s air liners. The price, too, is somewhere up there in the stratosphere: between $200,000 and $300,000. Yet this drone is facing an uncertain future. Governments are imposing increasingly strict regulations to limit the use of drones in their jurisdictions. And that’s just for passengerless machines! 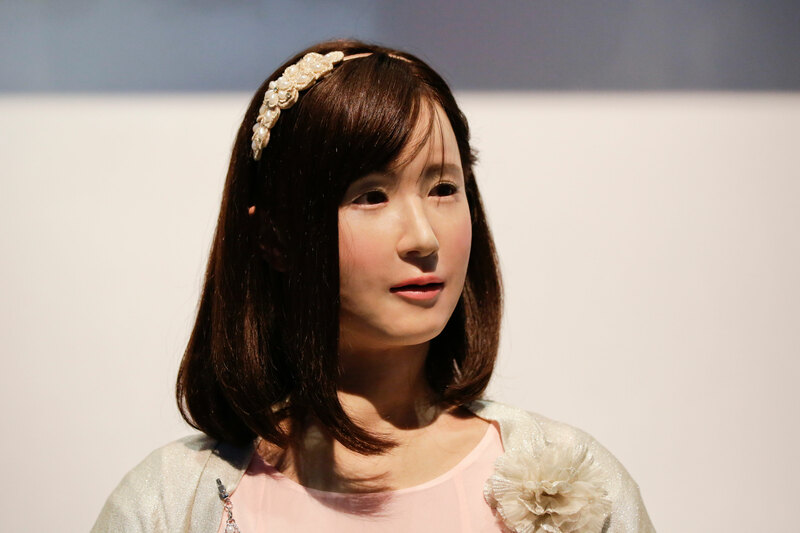 Last year, Toshiba pulled off a major coup with its humanoid robot, ChihiraAico. 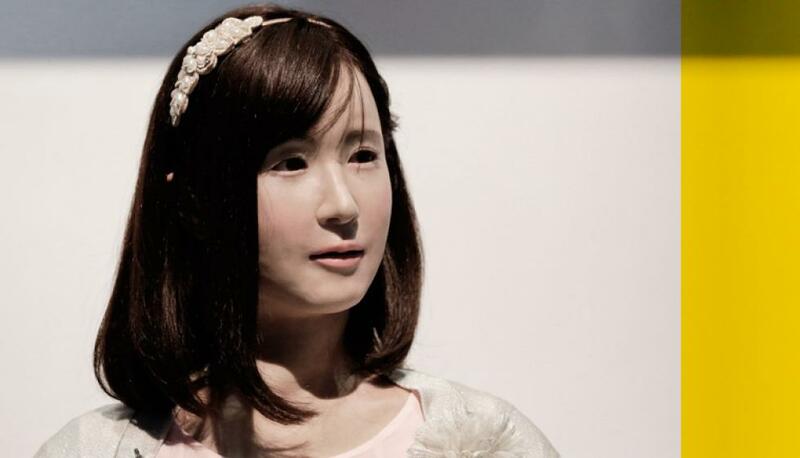 It’s designed to look like a woman with distinctly Japanese features and is now in service, greeting shoppers at a luxury mall in Tokyo and helping them locate specific stores. In terms of robotics, the offerings were more limited this year. But maybe more disturbing: FURo-D, the most “human” robot at CES 2016, held a large touchscreen in its hands and offered to take photos of attendees. The robot would then use the face in the photo as its own, with a monitor as its head, and would walk around the booth as if this were the most natural thing in the world. It’s very likely that FURo-D has a pet at home, probably similar to Chip, the robot dog developed by Montreal-based WowWee. Chip is fully autonomous and is sure to entertain your kids just like a real dog, with hair all over the place but without the walks in the park. These compact robots that clean our windows and vacuum our floors, as well as other sophisticated electronic gadgets, might look harmless but maybe Elon Musk is right after all. Maybe the sole objective of these thinking machines is to adopt all our behaviours, all our habits, and eventually, replace us.